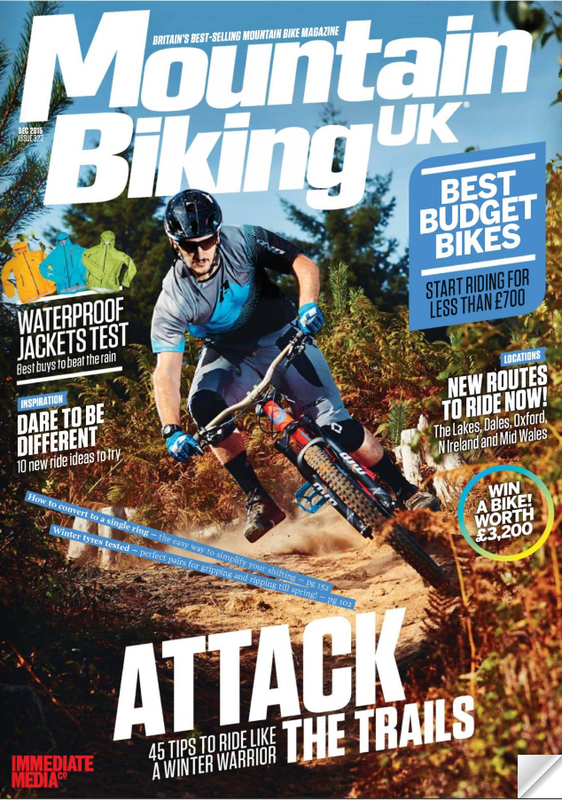 On review with Singletrack Magazine. The story is as simple as they come. 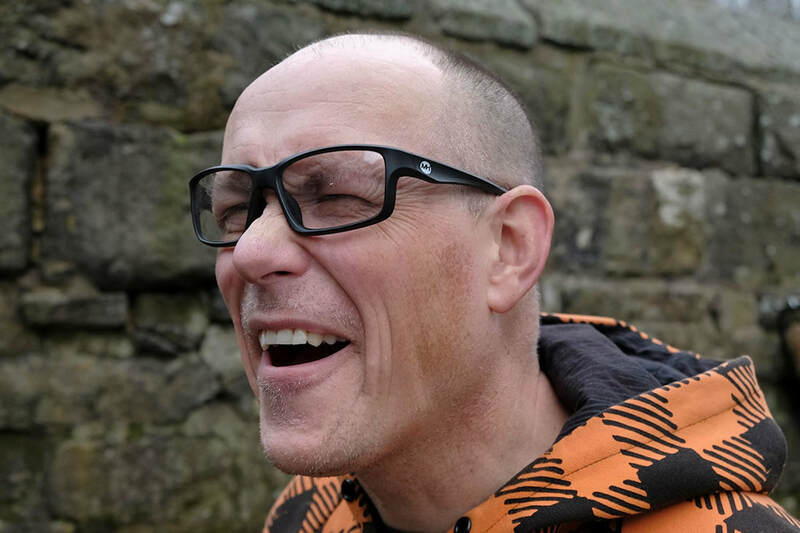 Based in Birmingham, Steve Bastow was in the same position a lot of us find ourselves, the whole ‘I don’t want to spend an astronomical amount of money, yet I don’t particularly want a flimsy cheap pair of gigs’ position. 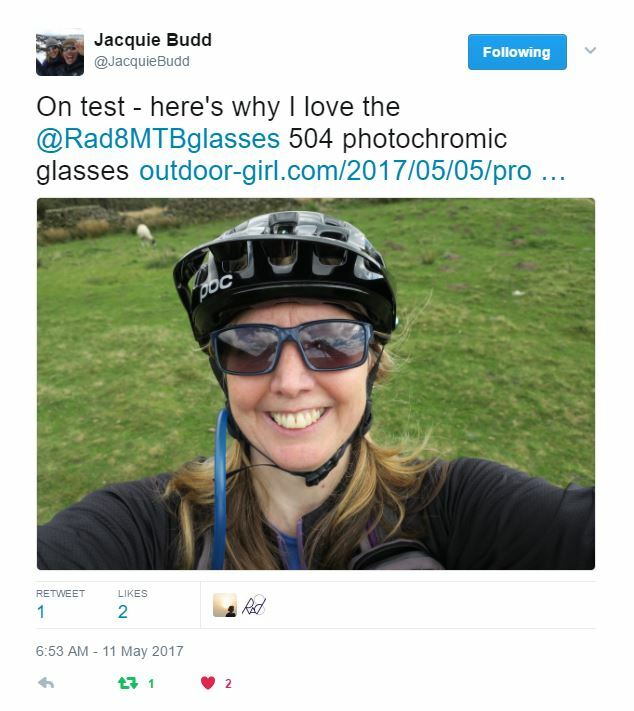 The Rad8s are available with a choice of two lens formats and six colour options, to suit all your spectacular needs, I would imagine. 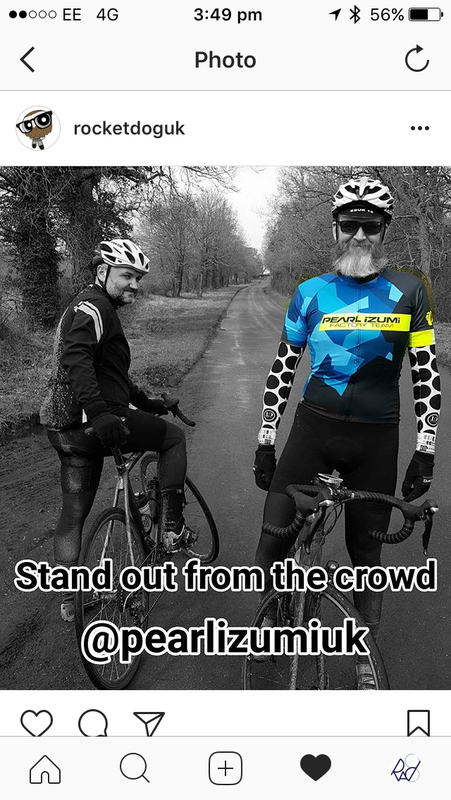 So if you’re all about matching kit, then these may be of interest. As we all know, it likes to rain in Todmorden, and what precedes this persistent precipitation is a preposterously permeated pile of public pathways (sorry). 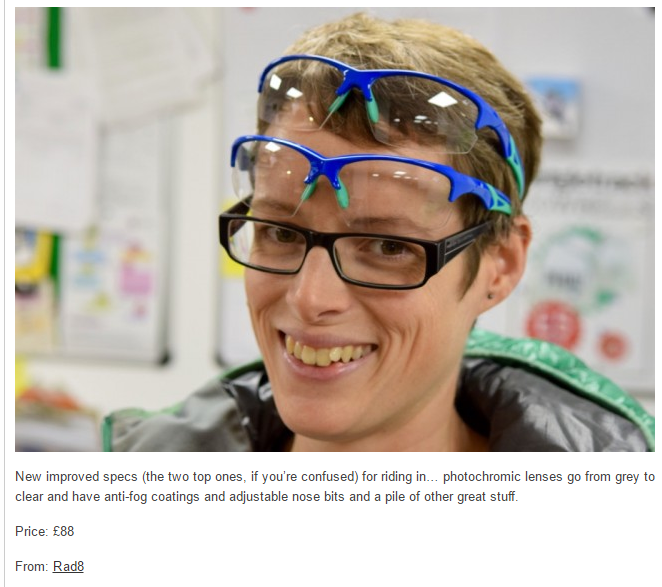 Which basically means you’re going to get mud in your eyes if you don’t have suitable protection. I took the Rad8 MTBs for a trial run in the mudfest we call our local trails. They may not be as aesthetically pleasing as the likes of Oakley (and anyway, beauty is in the eye of the beholder), but when you’ve got them in place, you can’t see much of them, and if I’m being honest, I quite like their roadie and raceresque characteristics. The fit of the Rad8s is very good indeed, with the lightly rubberised arms making sure the gigs are secure enough that they don’t move around when riding, but not too tight that they begin to dig holes in the side of your head. Obviously, face sizes are going to differ, but for me (with my slightly elongated head), they worked a treat. 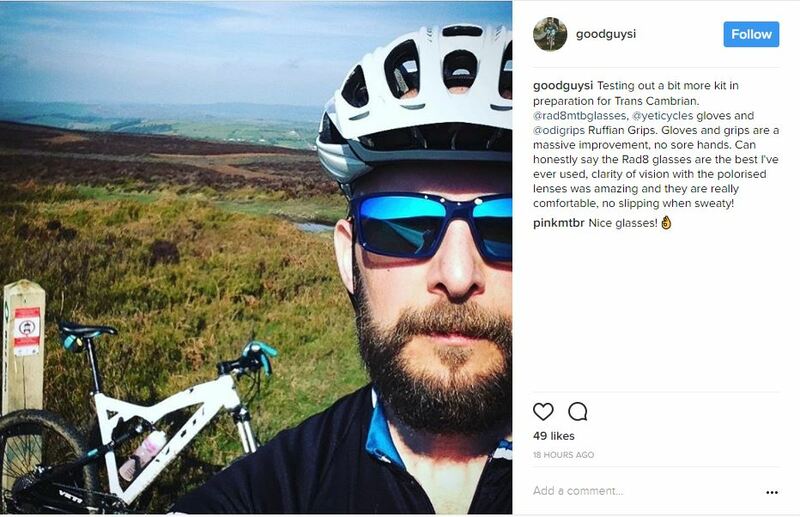 The light adaptive lenses also played their part very well on trails where you are constantly dipping in and out of tree cover, keeping my eyes on the trail and front wheel out of trouble. Late last year I managed to bag myself a riding trip to southern Italy, so I was able to test the Rad8s in different weather conditions. 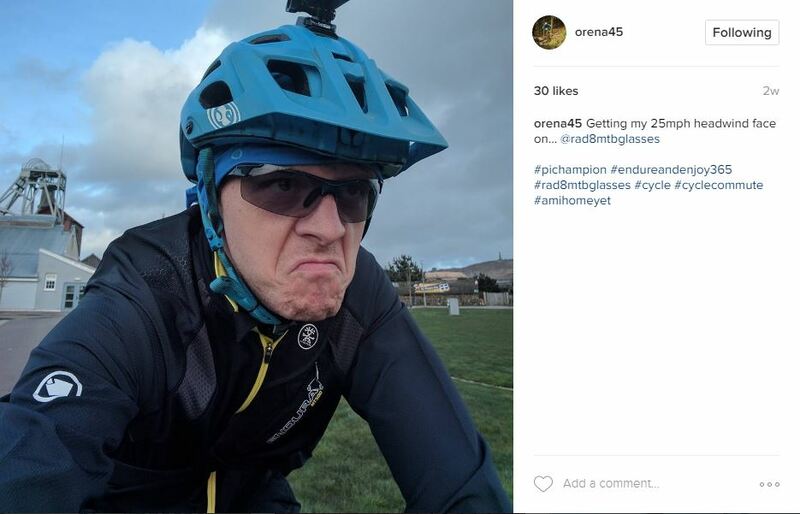 With previous adaptive lens sunglasses, I have had issues with judgement when it comes to picking lines and so forth. But in sunshine, the lenses in these darken enough to take away the glare but leave enough visibility for judging distances and rut sizes. Riding in the morning sun inevitably meant that perspiration soon followed. 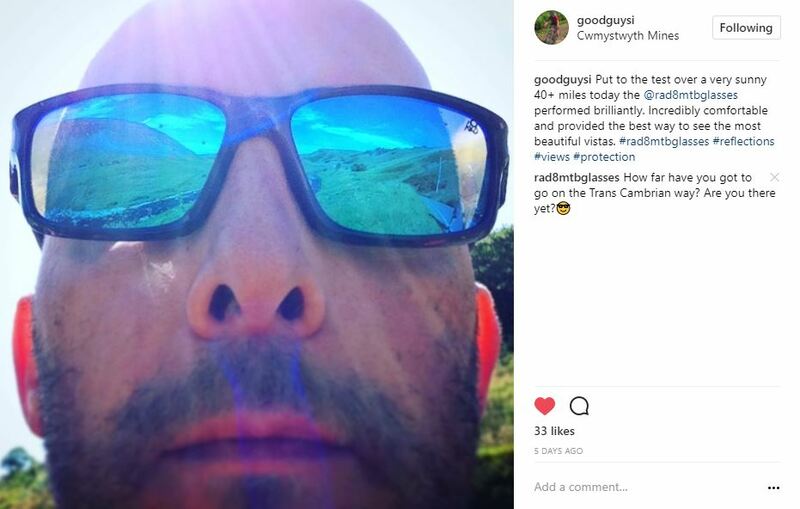 The anti fog coating on the lenses worked to a certain extent, but on the longer climbs, as sweat began to pour out of my face, the lenses did fog up pretty quickly – although we’ve since heard that Rad8 have new anti-fog coatings in place. Overall I was rather impressed by these little fellas. 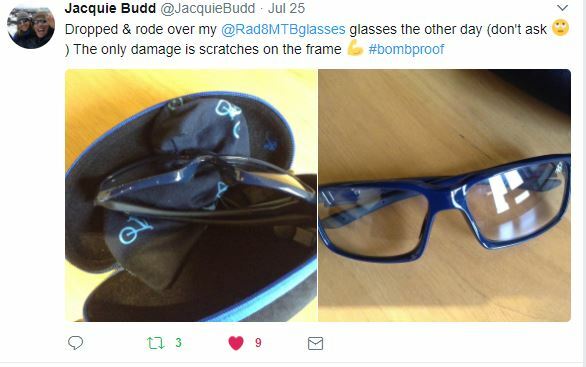 For a small company, the Rad8 glasses are reasonablystylish and feel well made. 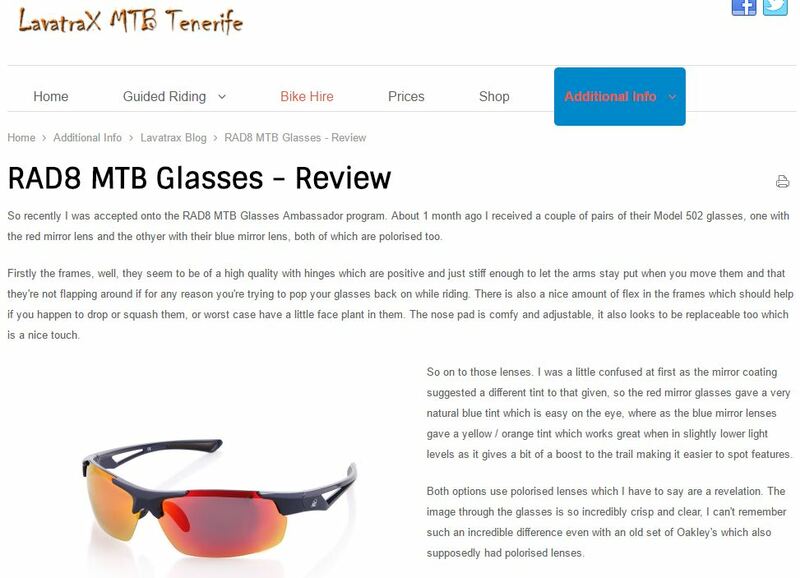 On a more practical level, they can take a beating with their scratch resistant lenses and they seem to have faired well in differing weather and light conditions. 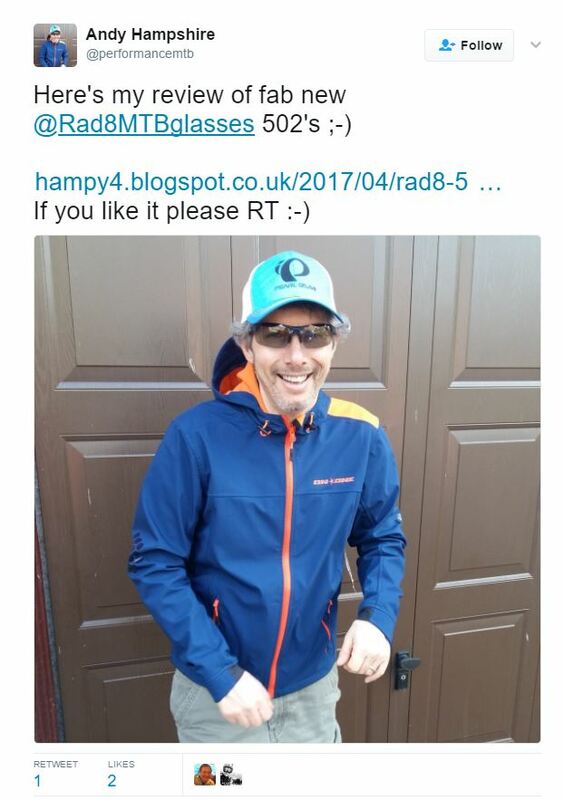 Rad8 Glasses - Trail tested glasses designed for UK MTB riding.